Oriental studies is the academic field of study that embraces Near Eastern and Far Eastern societies and cultures, languages, peoples, history and archaeology; in recent years the subject has often been turned into the newer terms of Middle Eastern studies and Asian studies. Traditional Oriental studies in Europe is today generally focused on the discipline of Islamic studies, while the study of China, especially traditional China, is often called Sinology. The study of East Asia in general, especially in the United States, is often called East Asian studies, while the study of Israel and Jews are called Israel studies and Jewish studies respectively, although they are often considered the same field. European study of the region formerly known as "the Orient" had primarily religious origins, which has remained an important motivation until recent times. Learning from Arabic medicine and philosophy, and the Greek translations from Arabic, was an important factor in the Middle Ages. Linguistic knowledge preceded a wider study of cultures and history, and as Europe began to encroach upon the region, political and economic factors encouraged growth in academic study. From the late 18th century archaeology became a link from the discipline to a wide European public, as treasures pillaged during colonial contacts filled new European museums. 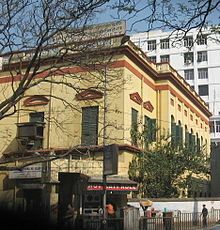 The modern study was influenced both by imperialist attitudes and interests, and also the sometimes naive fascination of the exotic East for Mediterranean and European writers and thinkers, captured in images by artists, that is embodied in a repeatedly-surfacing theme in the history of ideas in the West, called "Orientalism". In the last century, scholars from the region itself have participated on equal terms in the discipline. The original distinction between the "West" and the "East" was crystallized in the Greco-Persian Wars of the 5th century BC, when Athenian historians made a distinction between their "Athenian democracy" and the Persian monarchy. An institutional distinction between East and West did not exist as a defined polarity before the Oriens- and Occidens-divided administration of the Emperor Diocletian's Roman Empire at the end of the 3rd century AD, and the division of the Empire into Latin and Greek-speaking portions. The classical world had intimate knowledge of their Ancient Persian neighbours (and usually enemies), but very imprecise knowledge of most of the world further East, including the "Seres" (Chinese). However, there was substantial direct Roman trade with India (unlike with China) in the Imperial period. The rise of Islam and Muslim conquests in the 7th century established a sharp opposition, or even a sense of polarity, between medieval European Christendom and the medieval Islamic world (which stretched from the Middle East and Central Asia to North Africa and Andalusia). During the Middle Ages, Muslims and Jews were considered the "alien" enemies of Christendom. Popular medieval European knowledge of cultures farther to the East was poor, dependent on the wildly fictionalized travels of Sir John Mandeville and legends of Prester John, although the equally famous, and much longer, account by Marco Polo was a good deal more accurate. Scholarly work was initially very largely linguistic in nature, with primarily a religious focus on understanding both Biblical Hebrew and languages like Syriac with early Christian literature, but also from a wish to understand Arabic works on medicine, philosophy and science. This effort, also called the Studia Linguarum existed sporadically throughout the Middle Ages, and the "Renaissance of the 12th century" witnessed a particular growth in translations of Arabic texts into Latin, with figures like Constantine the African, who translated 37 books, mostly medical texts, from Arabic to Latin, and Herman of Carinthia, one of the translators of the Qur'an. The earliest translation of the Qur'an into Latin was completed in 1143, although little use was made of it until it was printed in 1543, after which it was translated into other European languages. Gerard of Cremona and others based themselves in Al-Andaluz to take advantage of the Arabic libraries and scholars there. Later, with the Christian Reconquista in full progress, such contacts became rarer in Spain. Chairs of Hebrew, Arabic and Aramaic were briefly established at Oxford, and four other universities following the Council of Vienne (1312). There was vague but increasing knowledge of the complex civilizations in China and India, from which luxury goods (notably cotton and silk textiles as well as ceramics) were imported. Although the Crusades produced relatively little in the way of scholarly interchange, the eruption of the Mongol Empire had strategic implications for both the Crusader kingdoms and Europe itself, and led to extended diplomatic contacts. From the Age of Exploration, European interest in mapping Asia, and especially the sea-routes, became intense, though mostly pursued outside the universities. University Oriental studies became systematic during the Renaissance, with the linguistic and religious aspects initially continuing to dominate. There was also a political dimension, as translations for diplomatic purposes were needed, even before the West engaged actively with the East beyond the Ottoman Empire. A landmark was the publication in Spain in 1514 of the first Polyglot Bible, containing the complete existing texts in Hebrew and Aramaic, in addition to Greek and Latin. At Cambridge University there has been a Regius Professor of Hebrew since 1540 (the fifth oldest regular chair there), and the chair in Arabic was founded in about 1643. Oxford followed for Hebrew in 1546 (both chairs were established by Henry VIII). Distinguished scholars included Edmund Castell, who published his Lexicon Heptaglotton Hebraicum, Chaldaicum, Syriacum, Samaritanum, Aethiopicum, Arabicum, et Persicum in 1669, whilst some scholars like Edward Pococke had travelled to the East and wrote also on the modern history and society of Eastern peoples. The University of Salamanca had Professors of Oriental Languages from at least the 1570s. In France, Colbert initiated a training programme for "Les Jeunes de langues", young linguists with the diplomatic service, like François Pétis de la Croix, who like his father and his son served as Arabic interpreter to the King. 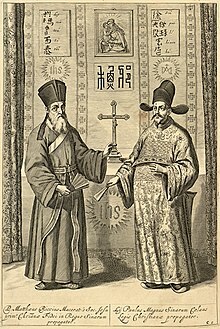 Study of the Far East was pioneered by missionaries, especially Matteo Ricci and others in the Jesuit China missions, and missionary motives were to remain important, at least in linguistic studies. During the 18th century Western scholars reached a reasonable basic level of understanding of the geography and most of the history of the region, though knowledge of the areas least accessible to Western travellers, like Japan and Tibet, and their languages, remained limited. Enlightenment thinkers characterized aspects of the pagan East as superior to the Christian West, in Montesquieu's Lettres Persanes or Voltaire's ironic promotion of Zoroastrianism; others, like Edward Gibbon, praised the relative religious tolerance of the Middle East as opposed to the intolerant Christian West, and many, including Diderot and Voltaire, the high social status of scholarship in Mandarin China. The Università degli Studi di Napoli "L'Orientale" (English: University of Naples "L'Orientale"), founded in Naples, Italy, in 1732, is the oldest school of Sinology and Oriental Studies of the European continent. The end of the century saw the beginnings in the great increase in study of the archaeology of the period, which was to be an ever-more important aspect of the field through the next century. Egyptology led the way, and as with many other ancient cultures, provided the linguists with new material for decipherment and study. With a great increase in knowledge of Asia among Western specialists, increasing political and economic involvement in the region, and in particular the realization of the existence of close relations between Indian and European languages, by William Jones, there emerged more complex intellectual connections between the early history of Eastern and Western cultures. Some of these developments occurred in the context of Franco–British rivalry for control of India. Liberal economists, such as James Mill, denigrated Eastern civilizations as static and corrupt. Karl Marx, himself of Jewish origin, characterized the Asiatic mode of production as unchanging, because of the economic narrowness of village economies and the State's role in production. Oriental despotism was generally regarded in Europe as a major factor in the relative failure of progress of Eastern societies. The study of Islam in particular was central to the field since the majority of people living in the geographical area termed 'the Orient' were Muslims. Interest in understanding Islam was partly fueled by economic considerations of growing trade in the Mediterranean region and the changing cultural and intellectual climate of the time. In the course of the century Western archaeology spread across the Middle East and Asia, with spectacular results. In the 1850s, for example, the French Government was determined to mount large-scale operations in Assyria and Mesopotamia to showcase its dominance in the region. 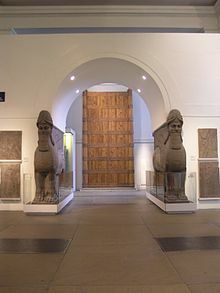 An archaeological team led by Victor Place excavated the palace of the Assyrian King Sargon II in Khorsabad (formerly Nineveh), would become the first systematic excavation of the site. 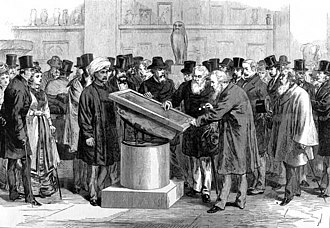 This expedition resulted in a pioneering publication entitled Ninevah and Assyria, jointly authored by Victor Place and Felix Thomas and published in around 1867. New national museums provided a setting for important archaeological finds, most of which were in this period bought back to Europe, and put Orientalists in the public spotlight as never before. The first serious European studies of Buddhism and Hinduism were by the scholars Eugene Burnouf and Max Müller. In that time, the academic study of Islam also developed, and, by the mid-19th century, Oriental Studies was a well-established academic discipline in most European countries, especially those with imperial interests in the region. Yet, while scholastic study expanded, so did racist attitudes and stereotypes of "inscrutable", "wily" Orientals. This frequently extended to local Jewish and Romani communities, who were also of Oriental origin and widely recognized as such. Scholarship often was intertwined with prejudicial racist and religious presumptions, to which the new biological sciences tended to contribute until the middle of the following century. The participation in academic studies by scholars from the newly independent nations of the region itself inevitably changed the nature of studies considerably, with the emergence of post-colonial studies and Subaltern Studies. The influence of Orientalism (in the sense used by Edward Said in his book of the same name) in scholarship on the Middle East was seen to have re-emerged and risen in prevalence again after the end of the Cold War. It is contended that this was partly a response to "a lacuna" in identity politics in international relations generally, and within the 'West' particularly, which was brought about by the absence of Soviet communism as a global adversary. The post–Cold War era has been marked by discussions of Islamist terrorism framing views on the extent to which the culture of the Arab world and Islam is a threat to that of the West. The essence of this debate reflects a presupposition for which Orientalism has been criticized - that the 'Orient' is defined exclusively by Islam. Such considerations as these were seen to have occurred in the wider context of the way in which many Western scholars responded to international politics in the post–Cold War world; and they were arguably heightened following the terrorist attacks of September 11, 2001. Symbolic of this type of response to the end of the Cold War was the popularization of the 'clash of civilizations' thesis. This particular idea of a fundamental conflict between East and West was first advanced by Bernard Lewis in an article entitled "The Roots of Muslim Rage", written in 1990. Again, this was seen as a way of accounting for new forms and lines of division in post–Cold War international society. The 'clash of civilizations' approach involved another characteristic of Orientalist thought; namely, the tendency to see the region as being one, homogenous 'civilization', rather than as comprising various different and diverse cultures and strands. It was an idea that was taken on more famously by Samuel Huntington in his 1993 article in Foreign Affairs, called "The Clash of Civilizations?". The Women of Algiers, 1834, by Eugène Delacroix is one of the earliest paintings from Western painters in the "Eastern world". The term Orientalism has come to acquire negative connotations in some quarters and is interpreted to refer to the study of the East by Westerners shaped by the attitudes of the era of European imperialism in the 18th and 19th centuries. When used in this sense, it often implies prejudiced, outsider-caricatured interpretations of Eastern cultures and peoples. This viewpoint was most famously articulated and propagated by Edward Said in Orientalism (1978), a critical history of this scholarly tradition. In contrast, the term has also been used by some modern scholars to refer to writers of the Imperialist era who had pro-Eastern attitudes, as opposed to those who saw nothing of value in non-Western cultures. Like the term Orient, Orientalism derives from the Latin word oriens (rising) and, equally likely, from the Greek word ('he'oros', the direction of the rising sun). "Orient" is the opposite of Occident, a term for the Western world. In terms of the Old World, Europe was considered the Occident (the west), and its farthest-known extreme the Orient (the east). Dating from the Roman Empire until the Middle Ages, what is now, in the West, considered 'the Middle East' was then considered 'the Orient'. However, use of the various terms and senses derived from "Orient" has greatly declined in the 20th century, not least as trans-Pacific links between Asia and America have grown; nowadays, Asia usually arrives at the USA from the West. In most North American and Australian universities, Oriental Studies has now been replaced by Asian Studies. In many cases the field has been localised to specific regions, such as Middle Eastern or Near Eastern Studies, South Asian studies, and East Asian Studies. This reflects the fact that the Orient is not a single, monolithic region but rather a broad area encompassing multiple civilizations. The generic concept of Oriental Studies, to its opponents, has lost any use it may have once had and is perceived as obstructing changes in departmental structures to reflect actual patterns of modern scholarship. In many universities, like Chicago, the faculties and institutions have divided; the Biblical languages may be linked with theological institutes, and the study of ancient civilizations in the region may come under a different faculty to studies of modern periods. In 1970, the Faculty of Oriental Studies at the Australian National University was re-named the Faculty of Asian Studies. In 2007 the Faculty of Oriental Studies at Cambridge University was renamed the Faculty of Asian and Middle Eastern Studies, but Oxford still has its Faculty of Oriental Studies, as do Chicago, Rome, London (covering African studies also), and other universities. Various explanations for the change to "Asian studies" are offered; a growing number of professional scholars and students of Asian Studies are themselves Asian or from groups of Asian origin (like Asian Americans). This change of labeling may be correlated in some cases to the fact that sensitivity to the term "Oriental" has been heightened in a more politically correct atmosphere, although it began earlier: Bernard Lewis' own department at Princeton University was renamed a decade before Said wrote his book, a detail that Said gets wrong. By some, the term "Oriental" has come to be thought offensive to non-Westerners. Area studies that incorporate not only philological pursuits but identity politics may also account for the hesitation to use the term "Oriental". Supporters of "Oriental Studies" counter that the term "Asian" is just as encompassing as "Oriental," and may well have originally had the same meaning, were it derived from an Akkadian word for "East" (a more common derivation is from one or both of two Anatolian proper names). Replacing one word with another is to confuse historically objectionable opinions about the East with the concept of "the East" itself. The terms Oriental/Eastern and Occidental/Western are both inclusive concepts that usefully identify large-scale cultural differences. Such general concepts do not preclude or deny more specific ones. at section 5. "Orientalists/Non-Muslims" appears an annotated list of over 150 western & eastern non-Muslim scholars, often with titles of their writings on Islam. ^ Hebrew to Latin, Latin to Hebrew: the mirroring of two cultures 2006 Page 75 Giulio Busi, Freie Universität Berlin. Institut für Judaistik - 2006 "According to the famous decision of the council of Vienne (1311–1312), Oxford was chosen as one of four universities (with Paris, Bologna and Salamanca) where Hebrew, Arabic, Greek and Aramaic were to be taught." ^ J. Go, "'Racism' and Colonialism: Meanings of Difference and Ruling Practice in America's Pacific Empire" in Qualitative Sociology' 27.1 (March 2004). ^ Jochen Hippler and Andrea Lueg (eds. ), The Next Threat: Western Perceptions of Islam (Pluto Press/The Transnational Institute, London, 1995), p. 1. ^ Zachary Lockman, Contending Visions of the Middle East: The History and Politics of Orientalism (Cambridge University Press, Cambridge, 2004), pp. 223–233. ^ Zachary Lockman, p. 233. ^ Clarke, J.J. (1997). Oriental enlightenment the encounter between Asian and Western thought. Routledge. p. 8. Edward Said's Splash The impact of Edward Said's book on Middle Eastern studies, by Martin Kramer. Herbermann, Charles, ed. (1913). "Oriental Study and Research" . Catholic Encyclopedia. New York: Robert Appleton Company. Crawley, William. "Sir William Jones: A vision of Orientalism", Asian Affairs, Vol. 27, Issue 2. (Jun. 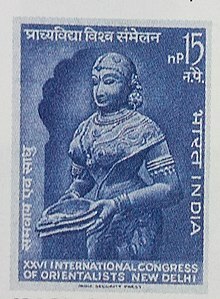 1996), pp. 163–176. Fleming, K.E. "Orientalism, the Balkans, and Balkan Historiography", The American Historical Review, Vol. 105, No. 4. (Oct., 2000), pp. 1218–1233. Irwin, Robert. For lust of knowing: The Orientalists and their enemies. London: Penguin/Allen Lane, 2006 (hardcover, ISBN 0-7139-9415-0). As Dangerous Knowledge: Orientalism and Its Discontents. New York: Overlook Press, 2006 (hardcover, ISBN 1-58567-835-X). Reviewed[permanent dead link] by Philip Hensher in The Spectator, January 28, 2006. Reviewed by Allan Massie in the Telegraph, February 6, 2006. Reviewed by Terry Eagleton in the New Statesman, February 13, 2006. Reviewed by Bill Saunders in The Independent, February 26, 2006. Reviewed by Noel Malcolm in The Telegraph, February 26, 2006. Reviewed by Maya Jasanoff in the London Review of Books, June 8, 2006. Reviewed by Wolfgang G. Schwanitz in Frankfurter Rundschau, June 26, 2006. Reviewed by William Grimes in the New York Times, November 1, 2006. Reviewed by Michael Dirda in The Washington Post, November 12, 2006. Reviewed by Lawrence Rosen in the Boston Review, January/February 2007. Klein, Christina. Cold War Orientalism: Asia in the Middlebrow Imagination, 1945–1961. Berkeley: University of California Press, 2003 (hardcover, ISBN 0-520-22469-8; paperback, ISBN 0-520-23230-5). Knight, Nathaniel. "Grigor'ev in Orenburg, 1851–1862: Russian Orientalism in the Service of Empire? ", Slavic Review, Vol. 59, No. 1. (Spring, 2000), pp. 74–100. Vasiliev, Leonid. "Stages of the World Historical Process: an Orientalist's View." Electronic Science and Education Journal: "Istoriya" 3:2, 10 (2012). http://history.jes.su/ Accessed: March 19, 2014. Little, Douglas. American Orientalism: The United States and the Middle East Since 1945. Chapel Hill: The University of North Carolina Press, 2001 (hardcover, ISBN 0-8078-2737-1); 2002 (paperback, ISBN 0-8078-5539-1); London: I.B. Tauris, 2002 (new ed., hardcover, ISBN 1-86064-889-4). Noble dreams, wicked pleasures: Orientalism in America, 1870–1930 by Holly Edwards (Editor). Princeton: Princeton University Press, 2000 (hardcover, ISBN 0-691-05003-1; paperback, ISBN 0-691-05004-X). Gusterin, Pavel. Первый российский востоковед Дмитрий Кантемир / First Russian Orientalist Dmitry Kantemir. Moscow, 2008. ISBN 978-5-7873-0436-7. Reviewed by Wolfgang G. Schwanitz in Insight Turkey, 12(2010)4, 225-7. Lockman, Zachary. Contending Visions of the Middle East. The History and Politics of Orientalism. New York: Cambridge University Press 2004, ISBN 0-5216-2937-3. Reviewed by Wolfgang G. Schwanitz in DAVO-Nachrichten, Mainz, Germany, 23(2006)8, 77-78. Smith-Peter, Susan. (2016), "Enlightenment from the East: Early Nineteenth Century Russian Views of the East from Kazan University", Znanie. Ponimanie. Umenie, 13 (1): 318–338, doi:10.17805/zpu.2016.1.29, archived from the original on 5 May 2016, retrieved 5 May 2016 .